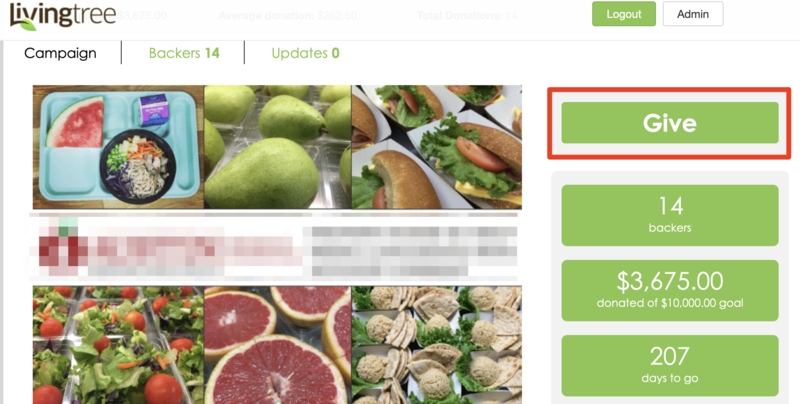 A PayPal account is NOT required in order to make a donation on Livingtree Give. Click the "Give" button (see screenshot below) OR any of the donation level buttons. 2. After entering your donation amount, personal information (name, address, etc) donate "on behalf of" options, note, etc you will see a yellow "PayPal Checkout" button at the bottom of the page (see screenshot below) along with icons below indicating the types of credit cards accepted. The credit card icons are not clickable. 3. A popup window will now appear. At the bottom of the popup is a "Pay with Credit or Debit Card" button. Clicking this button will allow you to further enter your pay with the other options mentioned above. 4. From there, proceed to enter your credit card information by following the prompts.